Have you heard about milk kefir? Do you know how to make it? We bring you a recipe so you can avoid going to the grocery store and buying it. Instead, you can easily make it right in your kitchen. 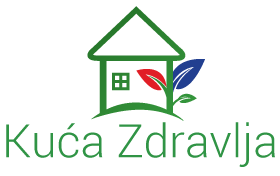 Kuca Zdravlja Srbija is here to help you improve your quality of life by making your elixir of youth – milk kefir! 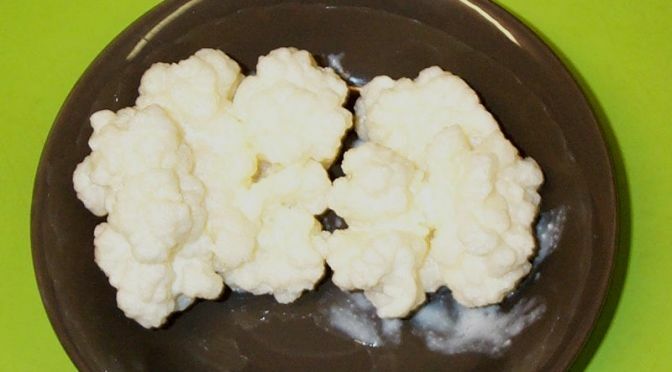 Milk kefir is a fermented dairy product. It is very similar to yogurt. It is creamy as a smoothie and full of good probiotics. Milk kefir you can buy in grocery stores but it is much better for your health to make a homemade milk kefir. If you want to feel better and to improve your health, all you need are milk and kefir grains. These grains are tiny cell structures and they ferment the milk. How to make a homemade milk kefir? Don’t worry. It is simple to make it. Add a teaspoon of kefir grains to a cup of milk. Then, cover the glass and let it sit out at room temperature for 24 hours. Kefir grains will ferment the milk and it will transform it into kefir. After 24 hours, strain out the kefir grains so you can use them again. Now, kefir is ready to drink. It is definitely one of the best drinks for good health. So, if you want to stay healthy keep making kefir! The great thing about kefir is that you can reuse kefir grains to make it as many times as you want. The kefir grains multiply after a while. You can make kefir every 24 hours. All you need to do is to put kefir grains in a fresh cup of milk. 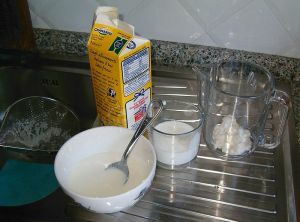 If you want to take a pause, you can out kefir grains in a new cup of milk and store them in the fridge. All you need are kefir grains and a cup of fresh milk! Where to Find Kefir Grains? The best way to find kefir grains is to ask your friends who make kefir regularly. The grains start to multiply after a while, so your friends can give you extra grains. If you don’t have a friend that owns kefir grains, check markets, stores or go online. What are Health Benefits of using milk kefir? There are many benefits of using milk kefir! it is full of probiotics which are great for healthy digestion. Milk Kefir can help you in the complete health of your body. It can reduce high blood cholesterol, heart diseases, blood pressure regulation, inflammatory processes, and improves kidney function. Because it is rich with vitamins essential for body functioning, your body will be grateful if you drink milk kefir to slow the aging process, eliminate tumors and also it will help you increase the potency. If you want to feel better and to stay healthy – start making your kefir milk today! You can eat your healthy breakfast with kefir. 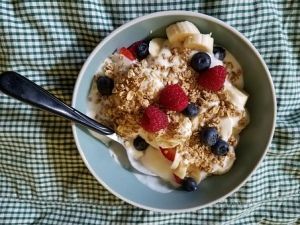 Mix oats, fruits, and milk kefir!